Each year, many of our Team Buckeye pelotons reach out to companies or organizations that they work with throughout the year and ask them to consider a contribution to support their peloton’s fundraising efforts. We are happy to share a variety of materials and resources that will help you in this process should you wish to solicit gifts from vendors. The 501 c3 / IRS Tax Exempt letter, Pledge Form, Pledge Form and W-9 form should accompany every letter sent to a prospective vendor. The Vendor Letter has been approved by Legal Counsel and should not be amended in any significant way. Please make appropriate edits in the areas that are highlighted in the letter. 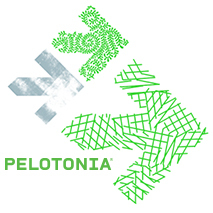 Be sure to write the name of your peloton in the blank space created on the Vendor Pledge Form. Keep in mind that soliciting vendors for financial support can take a little more time to organize and process. Some quick additional tips include brainstorming all prospects within your area and identifying the person who can influence or approve charitable contributions at the prospective company. Please do not hesitate to reach out to us at TeamBuckeye@osumc.edu if we can answer any questions or provide additional information or resources.